Apple insists that iOS and macOS will never morph into the same digital beast, but at least it’s increasingly willing to share the most useful features between each platform. Consider, for instance, the ability to markup screenshots in iOS 11. 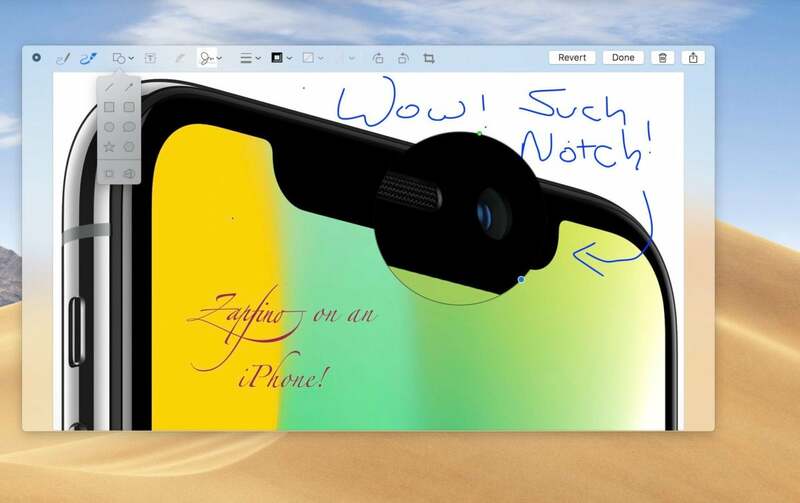 It quickly became one of our favorite tools on the iPhone, as you could quickly circle or highlight specific passages in a screenshot of an email or pinpoint a location in a photo and then send that file off to a friend in an iMessage. 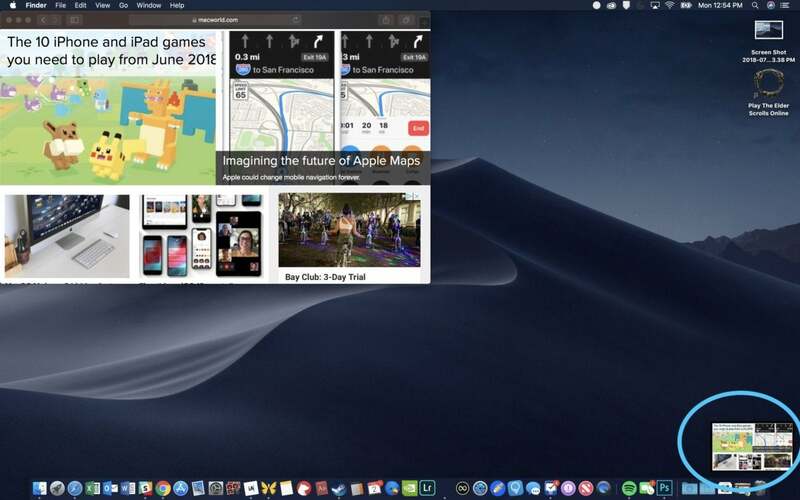 With macOS Mojave, that same great feature comes to Apple’s desktop system, along with a pile of Mac-appropriate enhancements (many of which are familiar from Preview). Here’s how to use it. Command-Shift-3 takes a screenshot of the entire screen, which immediately saves to the desktop. Command-Shift-4 takes a screenshot of a specific area, which you select by dragging an adjustable rectangle. On the right side of the bar, you’ll also see an Options menu that lets you further customize your screenshotting experience. Importantly, these options can also change how screenshots behave with good ol’ Command-Shift-3 and Command-Shift-4. Only the "stop video" button is showing because I used the video tool to capture this. It turns out that taking a screenshot of a screenshot tool is kind of hard. 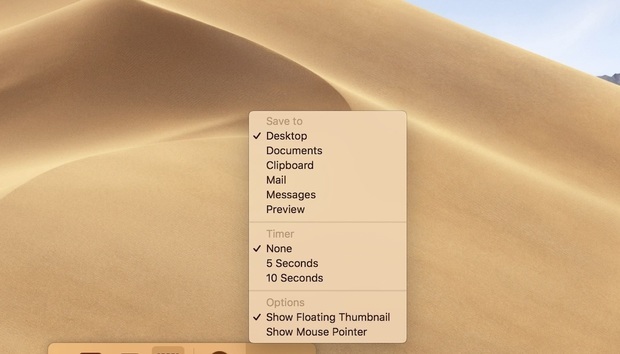 Clicking on the Options menu allows you to choose where to save the screenshot—Desktop, Documents, Clipboard, Mail, Messages, or Preview—and you can set a timer before the screenshot or video begins that lasts either five or 10 seconds. Beyond that, you can choose to include the mouse pointer in the shot and (much as on an iPhone or iPad) show a floating thumbnail or the screenshot once it’s been taken. 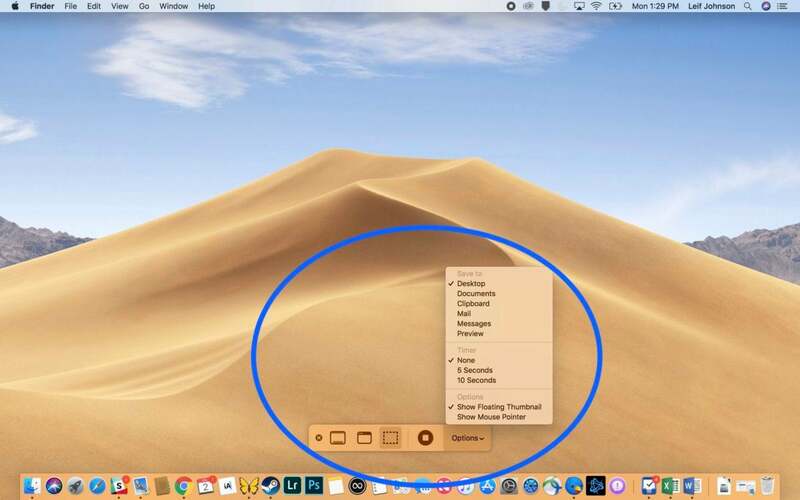 With macOS Mojave, the floating thumbnail is on by default, and it’ll appear in the lower-right corner of your screen. The thumbnail stays on the screen for about five seconds. It’s wise to keep the floating thumbnail active as it lets you change your mind about what you plan to do with the shot. Once the thumbnail appears following any of the Command-Shift variations, you can right-click on it to bring up a menu that lets you save the screenshot to the Desktop, Documents, or Clipboard. Beyond that, you can open it in Mail, Messages, Preview, or Photos. For that matter, you can simply delete it, show where the file is in Finder, or choose Markup to draw all over it. And that, finally, is where our feature from iOS 11 makes its appearance. If you don’t click Markup when you right-click on the screenshot, you can always left-click on it to bring up Markup immediately. Just don't expect Picasso from a marked-up image. Whew. That’s enough to make the new Markup window a lightweight version of Preview. And for those of us who take a ton of screenshots, it’s a blessing.